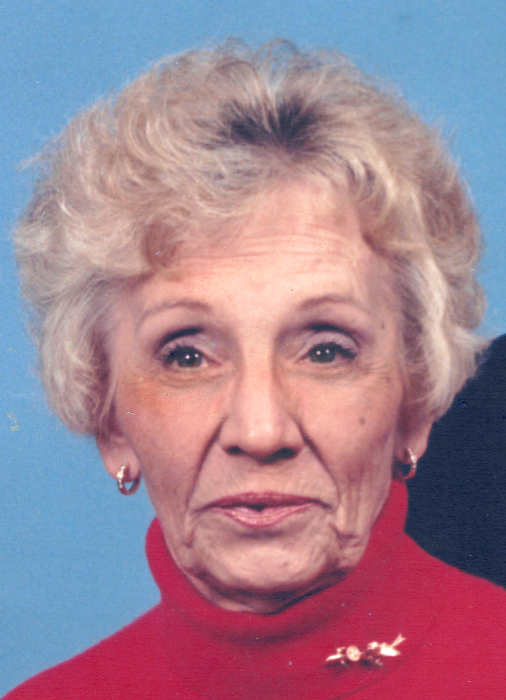 Jo Nell Lake Pridemore, 85, died Friday, November 24, 2017. She was born in Bourbon County., KY October 10, 1932 a daughter of the late John Keller and Bernice Louise Aulick Lake. Mrs. Pridemore was a member of the Indian Creek Christian Church, was an avid bowler, a homemaker and member of Bowlers Thats Us. She was preceded in death by her husband, William Lewis Pridemore, and two brothers John William and Harry Rankin Lake. Survivors include one son, William Keller "Kelly" Pridemore, Goshen, one daughter, Sandra L. (Mark) Norenberg, Elizabethtown, one sister, Margaret Lake, Cynthiana, 5 grandchildren, Cynthia (Brian) England, Cody (Julie) Norenberg, Will Pridemore, Nathan Pridemore, Paige (Ian) Pridemore, 4 great grandchildren, Carter Pridemore, Carwyn Tran Norenberg, Tegan Chesher, and Naila Tran Norenberg. Funeral services will be 11:00 AM Thursday, November 30, 2017, at the Drake-Whaley-McCarty Funeral Home, officiated by Dr. Larry W. Bishop. Burial will follow the service in the Battle Grove Cemetery. Friends may call from 5-8 PM Wednesday at the funeral home. Pallbearers: Nathan and Will Pridemore, Cody Norenberg, Brian England, Ian Chesher, Randall McClearn, German Palencia, Rick Pridemore. Honorary: Ida Bess Cross, Julie Tran, Cynthia England, Paige Pridemore and Don Wagoner.